Years ago, an overzealous conference staffer decided that Murray Rothbard needed to lose some weight for the sake of the movement. Thus, she made a cutting remark about the hefty dessert on his plate. Murray jabbed the cake with his fork and lifted a mouthful high into the air, defiantly declaring, "Every calorie says yes to life!" "Hey, fatty! Pull that doughnut out of your pie hole! You look like a pig, and you are costing me, and every other taxpayer, billions of dollars in unnecessary health care each year!" How do you like my new public service ad campaign, designed to stigmatize the overweight and the obese in the same way smokers have been? A great many people yearn to tell others what to eat, not to smoke, how much to drink, not to add salt, to avoid trans fats, how to exercise, what to weigh — and they long to do so in a self-righteous manner. The political expression of their yearning is the nanny state: a government that extensively controls personal behavior in the name of protecting people's welfare, especially in the areas of health and safety. The meddlers' self-righteousness is buttressed by nanny-state programs, like Obama's healthcare plan, that legally shift the price of "bad" behavior from the individual onto society. Society, because of these expensive programs, claims a right to dictate "proper" behavior to the erring individual. First we must realize that all actions are performed by individuals.… If we scrutinize the meaning of the various actions performed by individuals we must necessarily learn everything about the actions of the collective whole. For a social collective has no existence and reality outside of the individual members' actions. In short, there is no flesh-and-blood entity known as "society" that has an existence independent of its individual members. "Society" is an abstraction that arises from the massive interaction of individuals who function within a specific context. In terms of forming the abstraction "society," the required context may be nothing more than individuals living within certain geographical boundaries. Another example of a collective whole is "the family," which consists entirely of its individual members and has no existence without them. Methodological individualism, far from contesting the significance of such collective wholes, considers it as one of its main tasks to describe and to analyze their becoming and their disappearing, their changing structures, and their operation. And it chooses the only method fitted to solve this problem satisfactorily. Methodological individualism is a powerful and necessary analytical tool to discover the principles by which a group of people interact, and to understand the flow of history and the institutions of their society. It is the best method by which to understand how the world itself functions. Mises's stress on methodological individualism did not arise in a vacuum. It was in response to the theory of social holism that became popular in the early 20th century. Social holists claimed that collective wholes had an independent existence that was far more important than the sum of their individual parts. The collective was greater and more consequential than the individual. Holists often drew parallels between biology and sociology. They argued that higher-level principles were needed to describe a complex biological organism than were used to explain its constituent molecules. So, too, they claimed with human society. New principles and characteristics emerged within a society that were entirely different from those that applied to individuals. In other words, there were rules that applied only to collective wholes, not to individual members. Moreover, these emergent rules functioned according to a scientific analysis that did not apply to individuals. For example, consider the Keynesian idea of monetary calculation. Keynesian economics applied to society writ large but not to a housewife trying to balance her budget. Thus, a double standard of action and evaluation was embedded into politics — and this often pitted the interests of "society" against those of the individual. Marxists, especially, accused methodological individualism of being "atomism" or reductionism. Some Marxists went so far as to claim it was the individual, and not society, that was the abstraction, because a human being (as we know that concept) could not exist without society. As Mises observed, "The notion of an individual, say the critics, is an empty abstraction. Real man is necessarily always a member of a social whole." Karl Marx himself argued this point. He contended that an individual who had been born and immediately abandoned on a desert island to grow up in total isolation would not be a human being. In essence, he argued that human beings are social organisms who cannot be lifted from their defining context and remain human. The adult Robinson Crusoe who had been shipwrecked on a desert island was clearly a human being, but his humanity resulted from a prior history of socialization. Thus, reversing methodological individualism, Marx claimed that the collective called "society" created its individual members. Classical liberals and Austrian economists countered that a person raised in utter isolation would still be a human being with human characteristics. For example, he would have a scale of preferences upon which he would act to achieve the highest one first. Admittedly, without social interaction, major potentialities within the person would not develop or be expressed. For example, there would have no reason to develop language skills. Were the isolated individual to be rescued, however, his unexpressed potentials might well emerge. But whatever emerged would come from his own inherent human potential and would result from the individual interactions he experienced, not from the abstraction known as "society." "Society" could not define an individual's humanity into existence. Classical liberals did not dispute that a group has a dynamic different than that of a man in isolation. After all, only in society do intellectual and economic exchanges arise. But they believed that the differences could be explained by breaking the group dynamic down into the intricate interactions of the individuals comprising it. The hangman, not the state, executes a criminal. It is the meaning of those concerned that discerns in the hangman's action an action of the state. Individuals who look at the hangman and see the state in action do so only because they have created the abstraction "the state" to provide a context. But all that truly exists are the individuals who are acting. "The person who declares your personal behavior to be unacceptable is speaking in his own capacity as an individual meddler and know-it-all, not as a voice for the greater good." 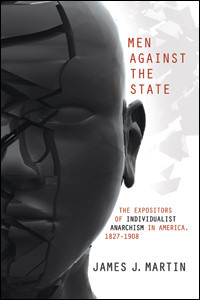 Methodological individualism has profound implications for the nanny state. If a collective is a "mental process" within individuals, not a concrete entity with independent existence, then it makes no sense to claim there are unique rules that apply to a collective but not to the individuals who compose it. A double standard makes no sense because all that truly exists are the individuals. Moreover, each person speaks for himself, not for society. The person who declares your personal behavior to be unacceptable is speaking in his own capacity as an individual meddler and know-it-all, not as a voice for the greater good. The 19th-century American individualist anarchist Josiah Warren expressed much the same principle as Mises did, and he gave it practical application. Warren began as a follower of the communitarian Robert Owen. Warren was one of the original participants in the famous New Harmony community, which began in the 1820s; he saw first-hand what was wrong with the organizing principle of socialist communities. After decades and decades of discussion by utopian planners — both in England and America, New Harmony put their theories to a practical test. It took less than a year and a half for New Harmony to dissolve. Warren blamed the community's failure largely upon its demand for communalism, which stifled individualism. it seemed that the difference of opinion, tastes and purposes increased just in proportion to the demand for conformity.… It appeared that it was nature's own inherent law of diversity that had conquered us.… Our "united interests" were directly at war with the individualities of persons and circumstances and the instinct of self-preservation. Society must be so converted as to preserve the SOVEREIGNTY OF EVERY INDIVIDUAL inviolate. That it must avoid all combinations and connections of persons and interests, and all other arrangements which will not leave every individual at all times at liberty to dispose of his or her person, and time, and property in any manner in which his or her feelings or judgment may dictate, WITHOUT INVOLVING THE PERSONS OR INTERESTS OF OTHERS. The person who assumes the mantle of society in order to self-righteously dictate how you must live has carved an idol called "the greater good" and has fallen on his knees to worship it as god. But there is no social good greater than the individual, without whom society itself does not exist. And any man who demands that others sacrifice themselves to a false god deserves only disdain.